How identifying the things you long for--which fall into five basic categories--can reveal deep truths about yourself, and how to work with these Five Longings to live in a happier, more satisfying way. Understanding what you want is often thought to be the starting point foragettingawhat you want, but Dave Richo disagrees. Dave asserts rather that understanding what you feel strong desire for is really the starting point toatranscendingathat desire in order to live with greater honesty, compassion, and happiness. 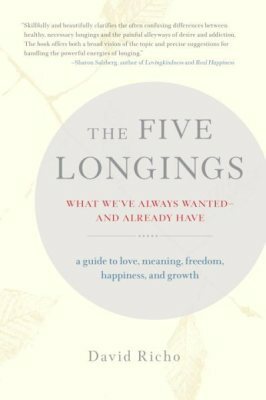 The "Five Longings" according to Dave have to do with wanting- (1) Love, (2) Meaning, (3) Freedom, (4) Happiness, or (5) Growth. These five manifest in all sorts of different ways, as he shows, but what they all have in common is that they're basically unattainable in a way that's permanently satisfying. They're always elusive. But if you examine them you begin to see that the very fact that they're unattainable becomes the gate through which true joy is discovered. He shows you how."